CEO CookOff : The final countdown! With less than a week to go we're gearing up for a final fundraising push. So far we've raised an enormous £274,800 (and counting) which is going to make an incredible difference to the lives of children and people in need all over the UK. We're also getting seriously excited about the big night itself. Trust us, we've seen the menus and it's going to be a delicious night of fundraising, fun and feasting! 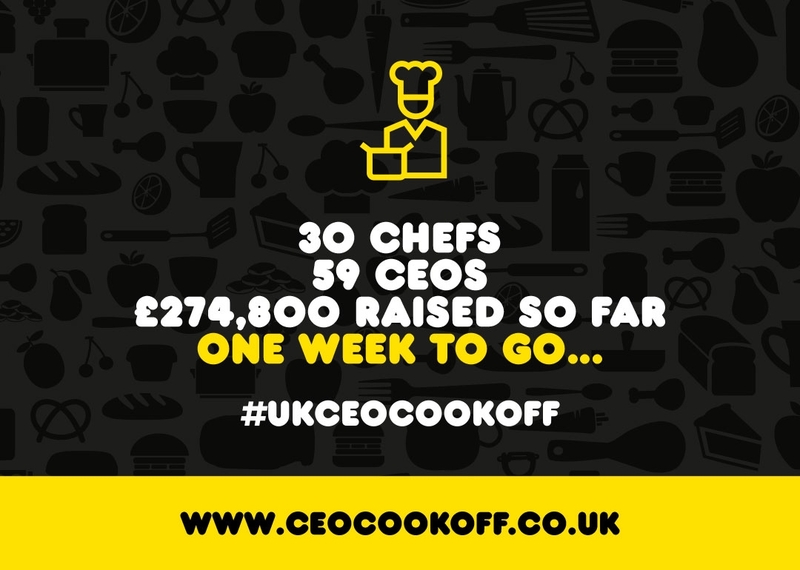 Check out the leaderboard to see which top ten CEOs are in with a chance of choosing who they cook with. And donate yourself here!